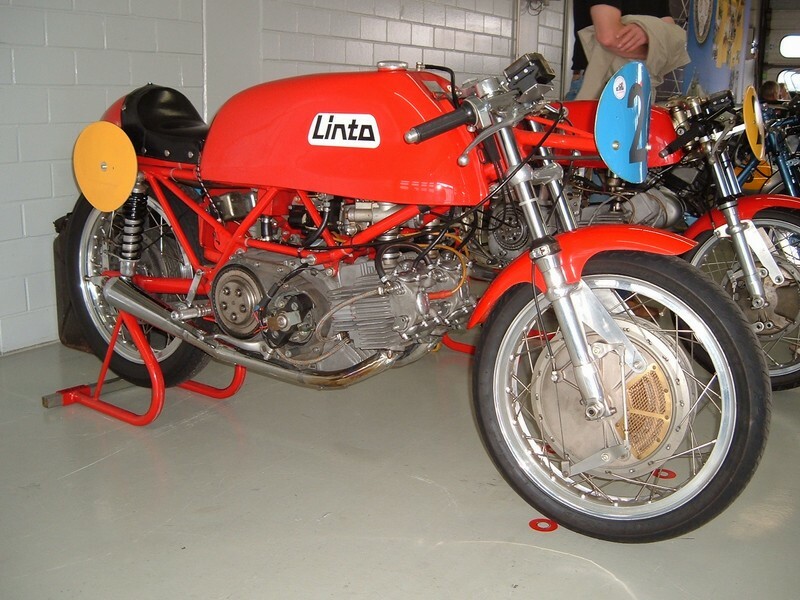 Coupling two Aermacchi 250 cylinders; Lino Tonti (financed by the Citroen dealer Umberto Premoli) created the "Linto 500 GP" a race beast, available for private racers, that competed with good results (Gyulay Marzowszky was second next to Giacomo Agostini in 1969 championship) in the World Motorcycle Championship from 1968 to 1970. 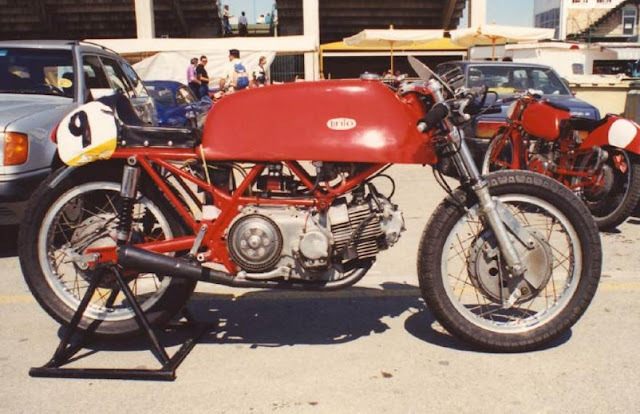 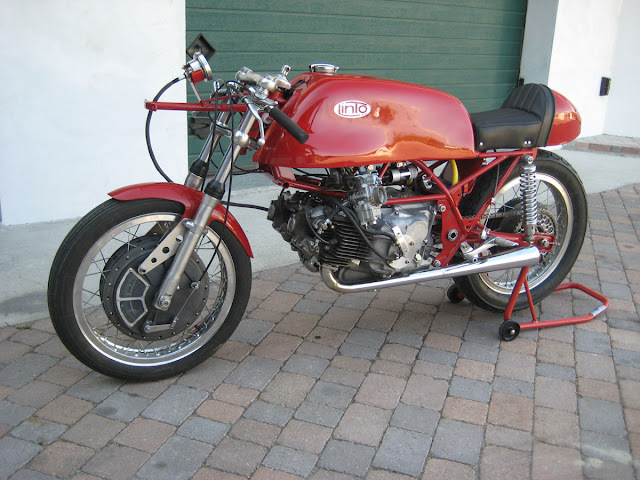 The initial design of the engine was for a DOHC with 4 radial valves, but the funds available were not sufficient and, therefore, the solution adopted was to use the cylinders (72 mm bore) and heads with rods and rockers of the Aermacchi Ala d'Oro 250 with a new block. The Linto prototype, still in developement, produced 65 hp at 12.000 rpm. Along with producing a great deal of power, the engine vibrated so much that it sometimes caused the frame to crack, which is how this bike got it's reputation for being 'fragile'.